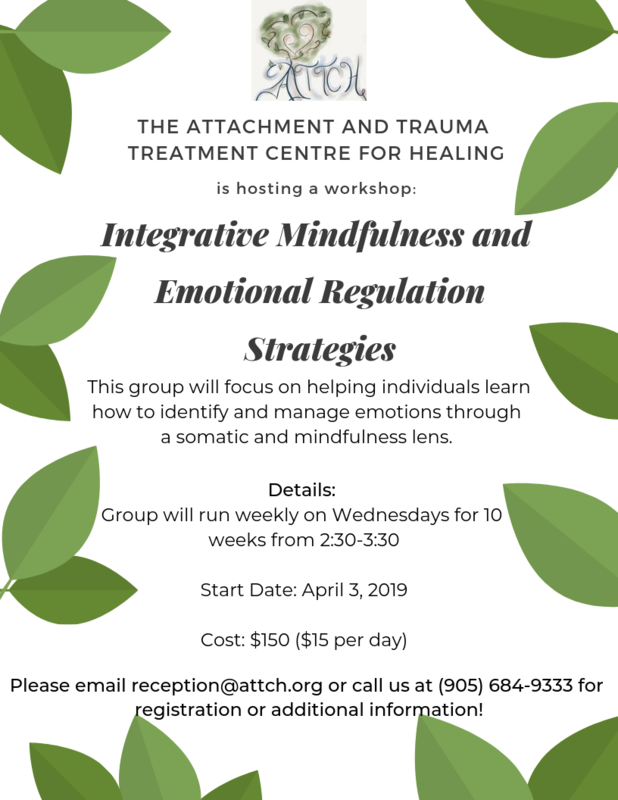 We have a new group starting focusing on affect identification and regulation, distress tolerance and integration through a somatic and mindfulness lens. Fee subsidy is available. See attached for details. Group will run on a weekly basis in St. Catharines for 10 weeks and is limited to 6 participants.